ABC Seamless of the Albemarle & Tidewater, Inc. is a full-service exterior remodeling company located in Elizabeth City, North Carolina. ABC Seamless installs seamless steel gutters, seamless aluminum gutters, Gutter Helmet, seamless siding, and replacement windows. ABC Seamless owners, Mark & Chad Swimme received Remodeling Magazine’s “Big 50 Award” in 2003 for their commitment to business excellence and customer service. 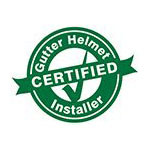 ABC Seamless installer, Lenny, is a Certified Gutter Helmet Installer and has many years experience installing gutters and Gutter Helmet for ABC Seamless customers. Mark Swimme had Lenny install Gutter Helmet on his own home in 2006 and he has been amazed at the performance of the Gutter Helmet product. Prior to installing Gutter Helmet, his gutters required constant maintenance but they have been maintenance-free since Gutter Helmet has been in place. Everyone at ABC Seamless is very proud of their affiliation with Gutter Helmet, and is thankful to have such a great product to offer their customers. 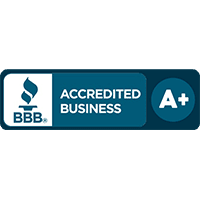 ABC Seamless has been serving customers in Northeastern North Carolina since 1994. Their showroom is located at 184 Lovers Lane, Elizabeth City, NC, and they serve the areas of Elizabeth City, Hertford, Edenton, Camden, Currituck, and the Outer Banks from Corolla to Manteo.